tretford’s focus is always on a natural and healthy environment! To get a good night’s sleep, we should pay special attention to the bedroom because this is where we spend a lot of time. 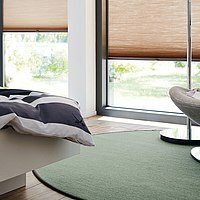 As it creates a particularly pleasant room climate, tretford carpeting lays the foundation for restful, natural sleep. After all, apart from quiet and the right temperature, this is decisive for untroubled sleep. 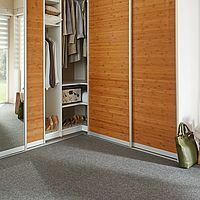 The pile material of our tiles, floorboards and carpets is mainly made of natural, renewable Cashmere goat hair. Up to 67 different colours are available to choose from.